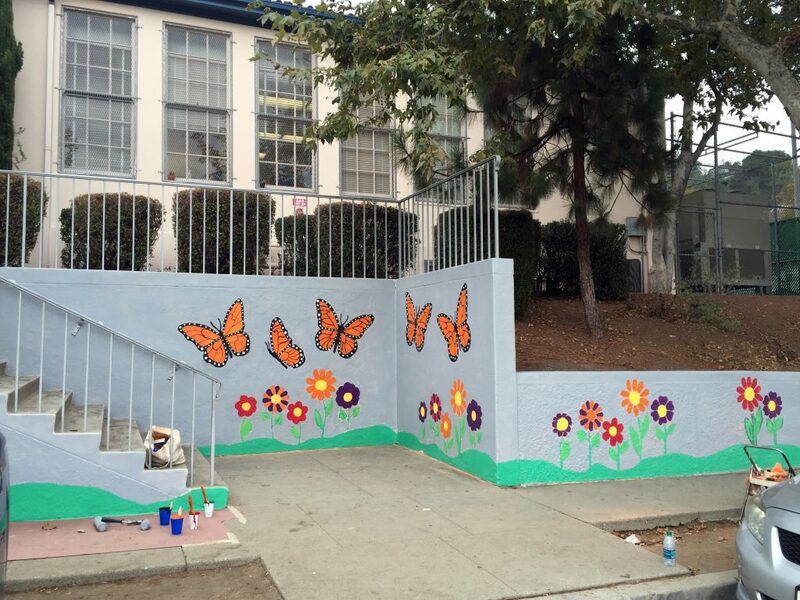 Yesterday I had the opportunity to paint a butterfly mural at Latona Elementary School in Los Angeles. 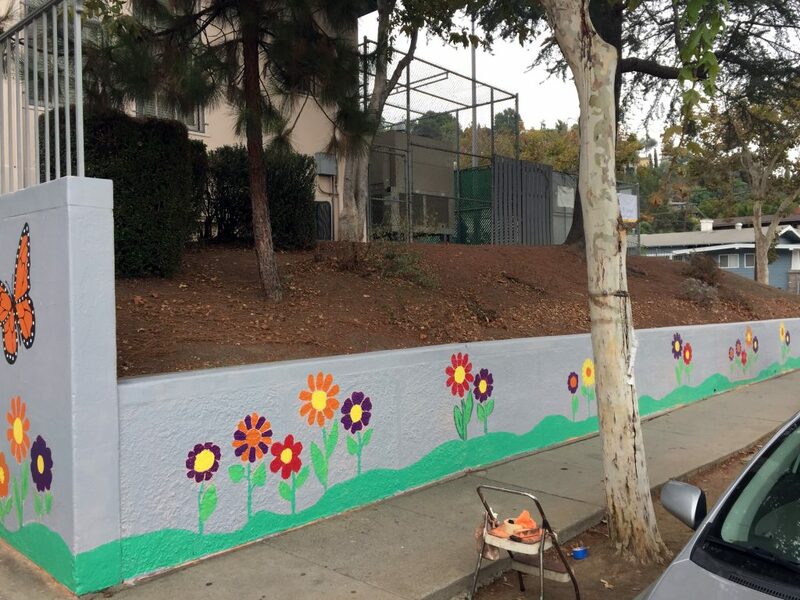 This was part of the UCLA Volunteer day mural project. 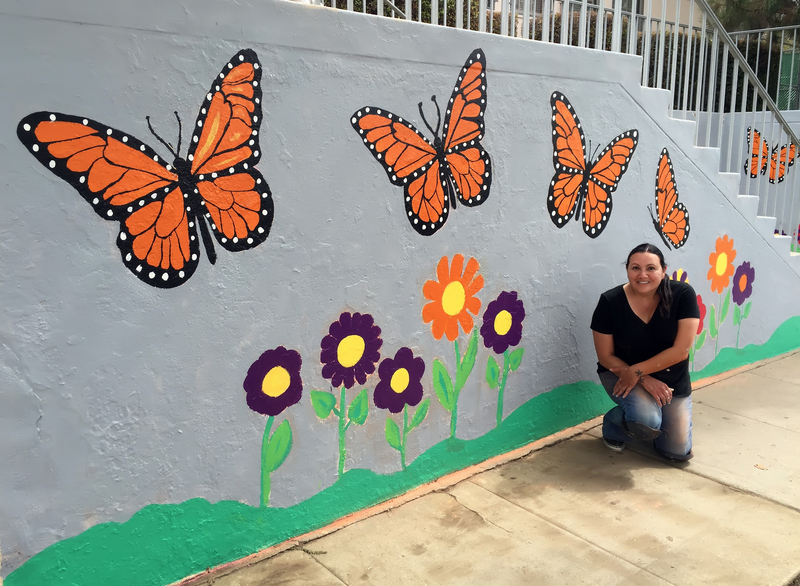 I love working on this project, I got a busload of kids from the 2016 UCLA Freshman class to help paint. This is a great way for the Bruins to give back to the community and it’s so much fun. This is the “before” picture. 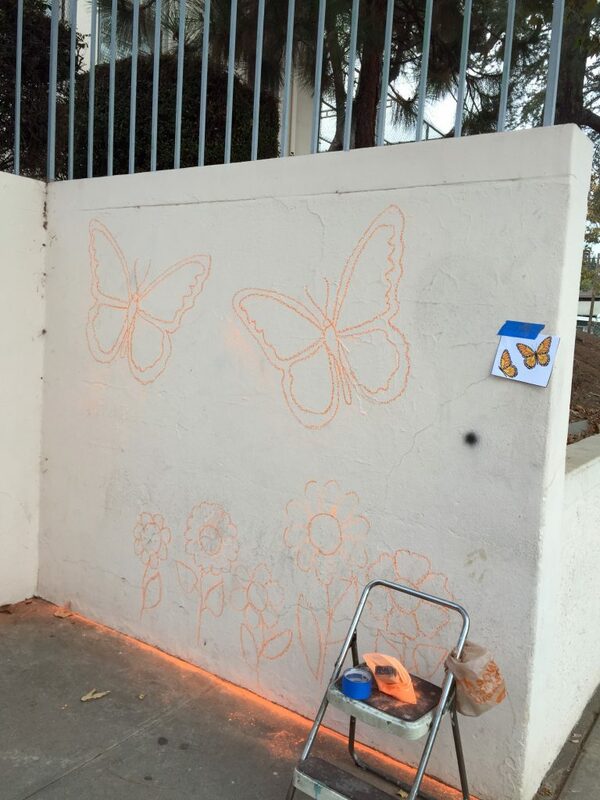 I made the butterfly stencil and used chalk to transfer it to the wall. 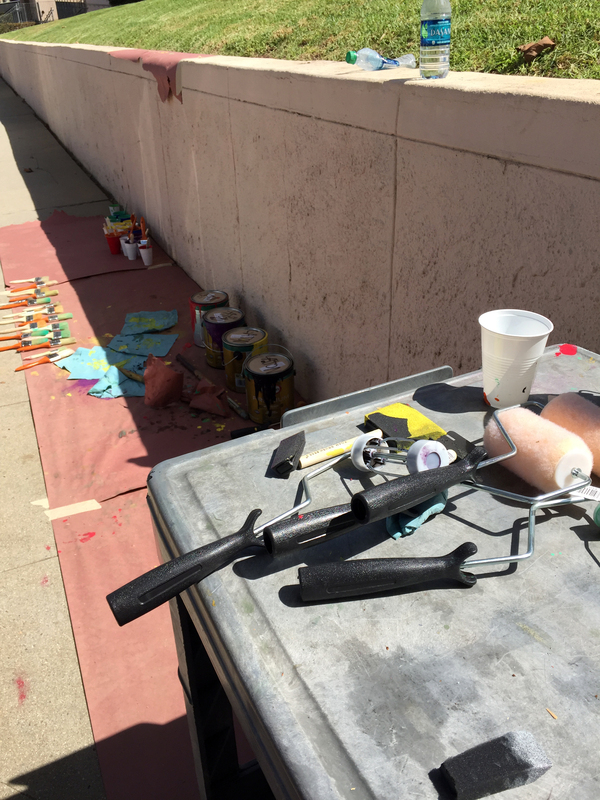 Paint and supplies provided by UCLA. 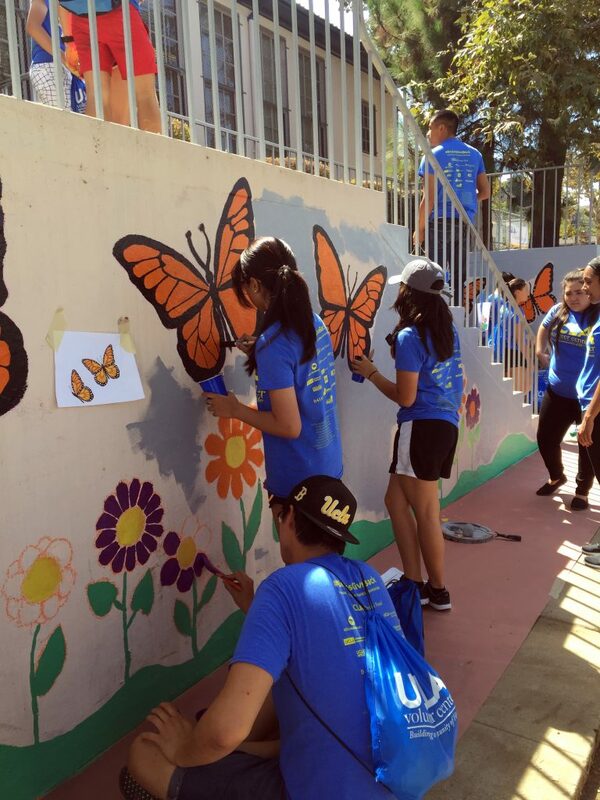 These are some of the UCLA kids that helped. 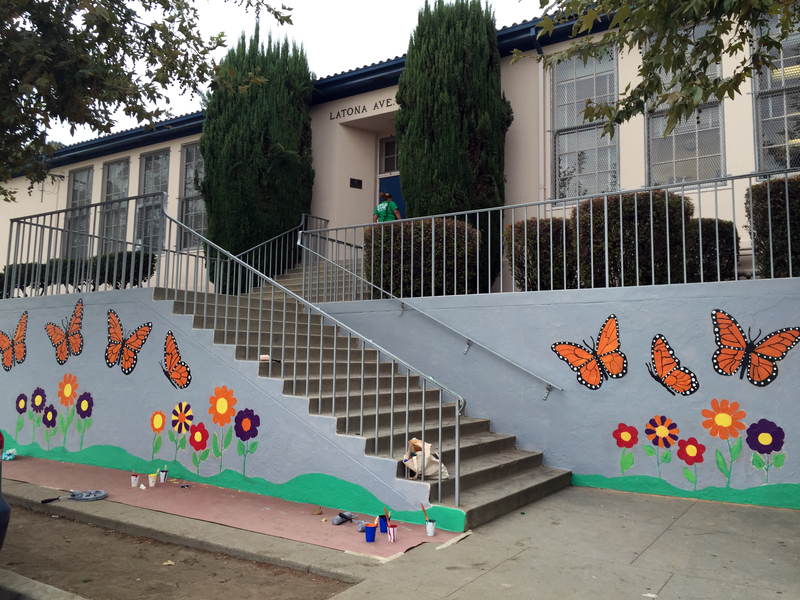 Outer small school wall, stenciled it all the way out to the corner. This is my attempt at a “panorama” shot.